Input : A an array in the range 1 to n.
Output : Sorted array A. To find the middle of the sub array will take D(n)=(1). To recursively solve each sub problem will take 2T(n/2). To combine sub arrays will take (n). We can ignore (1) term. 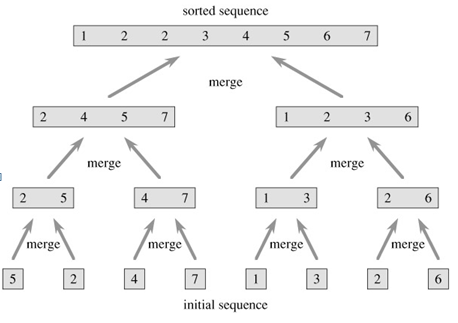 The operation of merge sort on the array A = 〈5, 2, 4, 7, 1, 3, 2, 6〉. nOccurs when the sub arrays are completely unbalanced. nHave 0 elements in one sub array and n − 1 elements in the other sub array. nTime taken for partitioning is Q(n) and T(0)= Q(1). Divide: Break the problem into subproblems recursively. Conquer: Solve each sub problems. Combine: All the solutions of sub problems are combined to get the solution of the original problem. 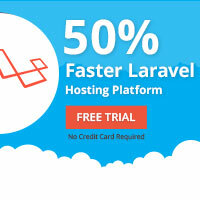 By running sub problems in parallel. More work on divide phase. Less work on divide phase.